Your guide to world-class wine, valley grazing and family-friendly farms. 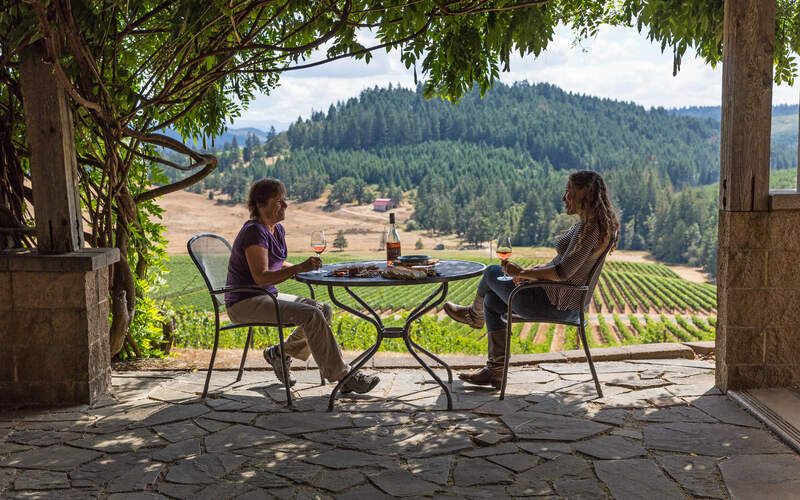 The South Willamette Valley Food Trail is a self-guided journey through Oregon’s agricultural heartland. Enjoy farm-to-table restaurants, world-class wines and unique on-farm experiences along the trail. Find your themed route below or download the official brochure. Taste handcrafted award-winning wines as you make your way from downtown Eugene to the rolling foothills of the coastal range. Start the morning in downtown Eugene at Noisette Pastry Kitchen. This boutique café serves up seasonal, local handmade sweets, savories and of course, coffee. Make a stop at Provisions Market Hall. Peruse specialty to-go foods, a hand-picked selection of cookbooks, charcuterie and more. Fill your picnic basket here for tasty snacks throughout the day or stop in Junction City on your way north for lunch at Camas Country Mill Bakery & Store. Next make your way to wine country and spend the day exploring the Prairie Mountain Wineries, six vineyards within a ten-mile radius—Bennett Vineyards & Wine Company, Walnut Ridge Vineyard and Brigadoon Wine Co. just to name a few—all with extraordinary views. Take scenic River Road back into town and stop by Groundwork Organics, a 75-year-old restored dairy barn and certified organic farm stand. Wrap up the day with dinner at Marché Restaurant. This beautiful restaurant serves up French-inspired cuisine with farm fresh ingredients that celebrate the bounty of the region. Want more? Walk to nearby Party Bar for late night food and a nightcap. Think: oysters, craft cocktails and organic burgers – all using local ingredients. Let the river guide you to wild fields and foods. Begin your day with coffee and delicious pastries at 100 Mile Bakery in Springfield, where all ingredients are sourced within 100 miles. 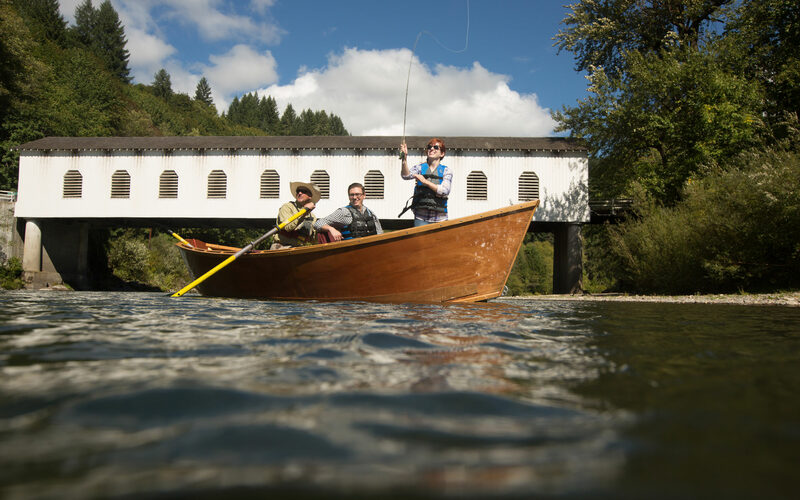 Schedule a half-day or full-day fishing trip on the McKenzie River with A. Helfrich Outfitter. Catch trout, salmon or steelhead. Full-day trips include a delicious riverside fish fry lunch that can also be pre-arranged for half-day trips. Make a stop at Herrick Farms and Organic Redneck Growers. These farm stands offer an array of farm fresh produce and seasonal u-pick opportunities. Continue upriver to McKenzie River Lavender, located amongst the pastoral beauty of hazelnut orchards. Call ahead for private tours and special craft classes — and don’t miss the Lavender Festival in July. Mushroom enthusiasts can keep exploring and hunt for morels, golden chanterelles and more along the valley floor. Contact the Cascade Mycological Society for information about where and when to forage and necessary permitting. Finish up your day at McKenzie General Store. 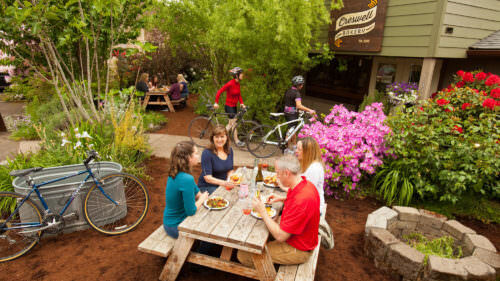 Enjoy a local craft beer or glass of Willamette Valley wine with dinner made from organic local foods. Looking for a place to stay nearby? Check out riverfront Eagle Rock Lodge, where all meals and snacks are homemade and sourced locally. 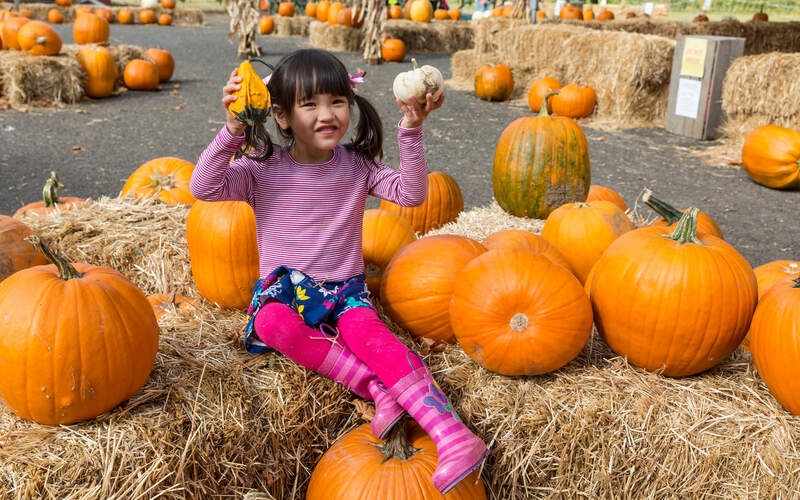 Farms along the trail offer valley-fresh produce and seasonal activities like pumpkin picking at Detering Orchards. Explore these family-friendly farms year-round. Welcome the day at Lane County Farmers Market, the oldest and largest in the area. Located in downtown Eugene, the market offers a variety of local foods throughout the year and is an ideal stop for breakfast and shopping on Tuesdays and Saturdays. During peak season, it is possible to find a Saturday market no matter which direction you’re headed: Veneta Downtown Farmers Market, Dexter Lake Farmers Market, Spencer Creek Community Market and South Valley Farmers Market. Stop at Creswell Bakery for lunch and to-go items and get a taste of the country. Everything is made from scratch by classically trained chef and owner, Heidi Tunnell. Here you will find some of the best cinnamon rolls you will ever taste; they are massive with a healthy layer of cream cheese frosting that doesn’t disappoint. Head west towards Territorial Highway for a production tour and honey tasting at Queens Bounty. Make sure to call ahead to schedule your tour. Then head north for farm stand and u-pick opportunities at Bush’s Fern View Farms near Fern Ridge Reservoir for berries in the summer and apples in the fall. Other area farms that offer U-picks, pumpkin patches, warm cider, fresh apples, farm animals and corn mazes include Detering Orchards, Hentze Farm and Thistledown Farm. Return to Eugene for dinner at Grit Kitchen – the owner and chef is a farmer, and everything she prepares comes from her farm or others nearby. 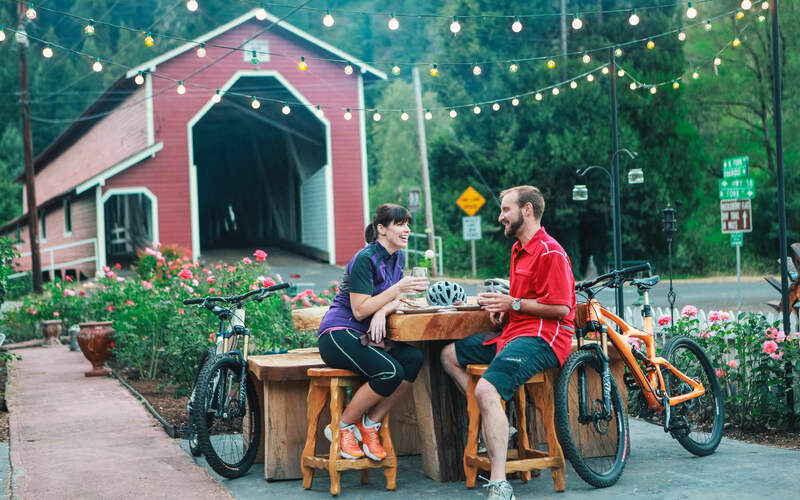 In all there are 58 stops on the South Willamette Valley Food Trail, from bakeries and restaurants, to farms and growers markets, to breweries and wineries, to immersive experiences and food-focused lodges. Make your base camp in one of these charming towns and find a delicious farm-to-table meal around the corner. Here are some of the locales to explore. Scenic country roads lead the way to award-winning wineries and storybook farms. A mighty river feeds these farm-fresh communities where outdoor adventure reigns. 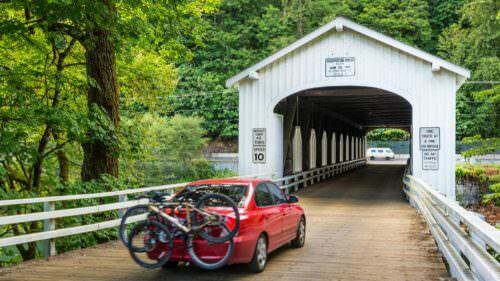 Tasty rewards await along these towns’ bucolic waterways and forest trails. Inspiration thrives in a city heralded for its innovative and abudant culinary scene. 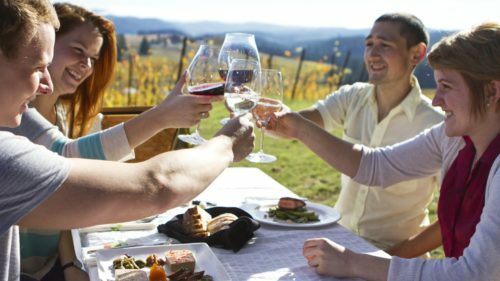 This year-round, self-guided South Willamette Valley Food Trail is designed to be explored at your own pace. We encourage you to inquire at individual businesses about seasonality and hours of operation before visiting. The working farms along this trail provide some of the most unique and engaging experiences. We ask that you respect the invitation to enter each property and be cautious around farm animals and equipment. Children must be supervised at all times and you should be prepared to follow all site-specific rules. For your safety and comfort, be prepared with appropriate footwear, sun protection and water. Discover seasonal foods, events and trip ideas at SouthWillametteValleyFoodTrail.com. Share your experience with us by tagging #SWVFoodTrail and @EugeneCascadesCoast.